The story of a potential Tesla short squeeze is one we’ve been quiet about for a while. 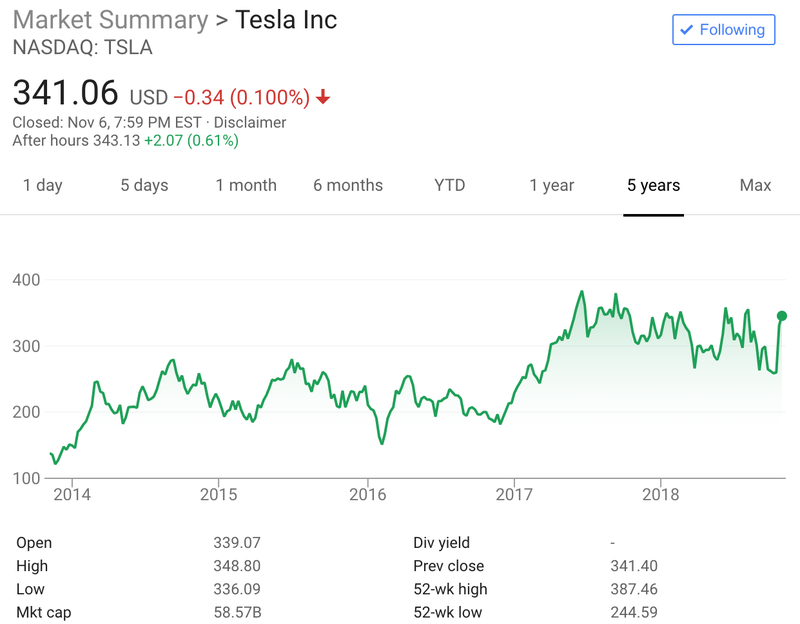 The situation has honestly been a little bit bewildering — Tesla [TSLA] has frequently been the most shorted stock on the US stock market, and at critical junctures where logic would tell you that short sellers would bail, few have done so. Also, keep in mind that some of the most prominent Tesla short sellers have been short for years, even since the stock was under $100 a share. While at least one 5-year short has made a U-turn (referencing 4 CleanTechnica charts in the process) and that helped to stimulate billions of dollars in increased valuation for the company, other shorts have remained bearish and sometimes even increased their pessimism. But let’s be clear — it’s not only Tesla bulls who find the Tesla short sellers a little bewildering and illogical. 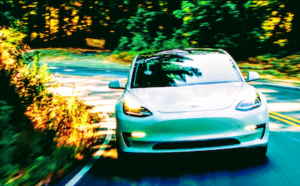 One of the most prominent experts on short sellers, Ihor Dusaniwsky, has typically come across as a Tesla critic, but he noted this week that he’s never seen a short seller story like this one. Basically, he’s never seen such a large short interest in a company for so long. 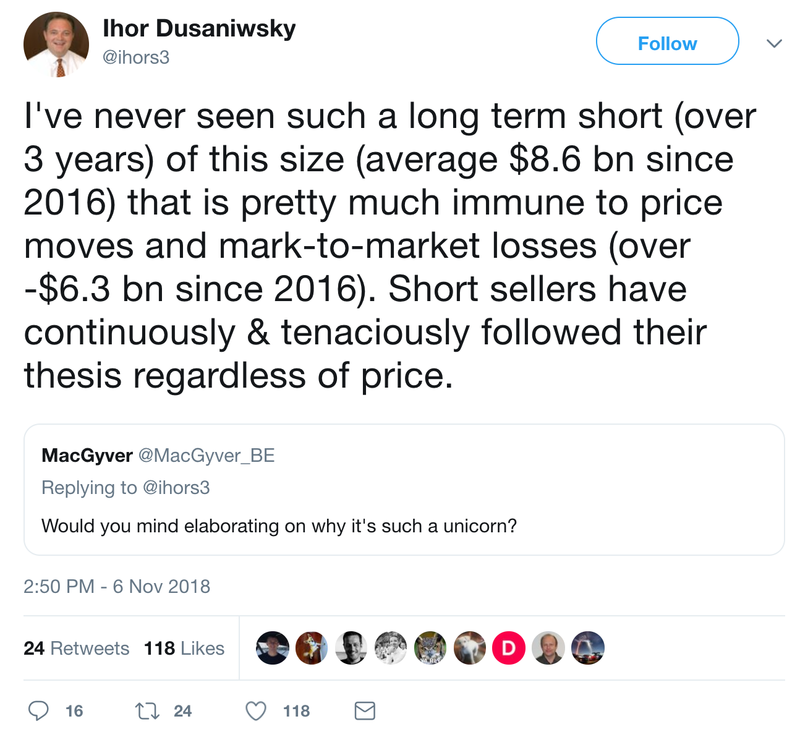 Additionally, he hasn’t seen a story where short sellers so consistently neglect to flinch despite sharp share price increases and dramatic paper losses. 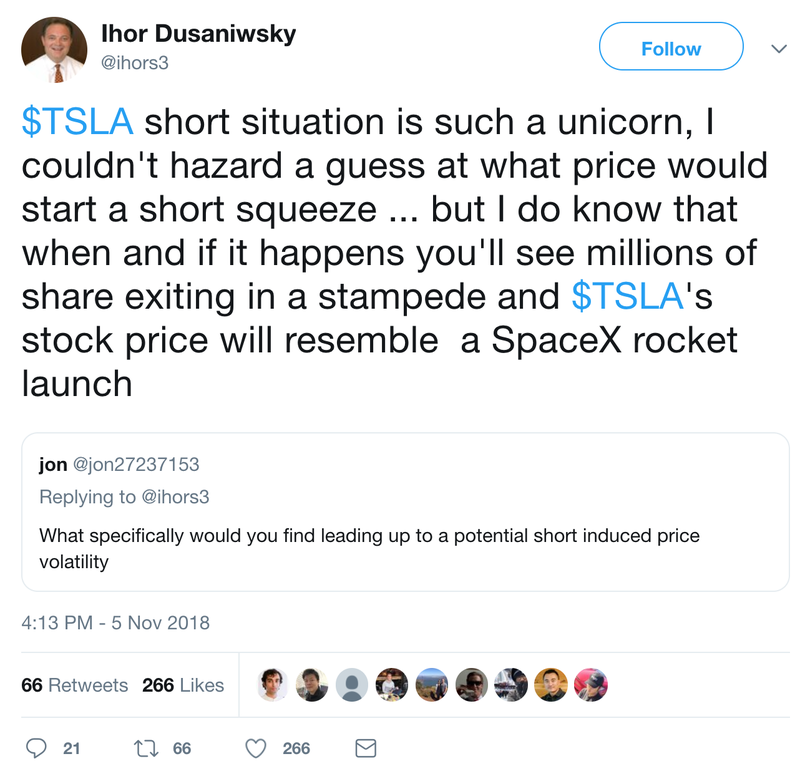 In this tweet thread, the really surprising comment (to me) was that he sees a short squeeze coming at some point that will shoot the share price up like a SpaceX rocket. My previous reading of his take on Tesla did not prepare me for such a strong statement. 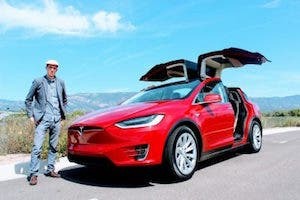 That prediction has long been a popular Tesla bull position — that it’s given a Tesla short squeeze is coming, someday — but Ihor previously seemed to buy into the short seller talking points, not the Tesla bulls’ talking points on a short squeeze. Shares short have dropped sharply in recent days, but they still just dropped from ~35.5 million shares short to ~32.2 million shares short. The reduction of ~3.3 million shares short is minimal compared to the remaining short position of 32.2 million shares. So, the big question is, why are so many shares still short? 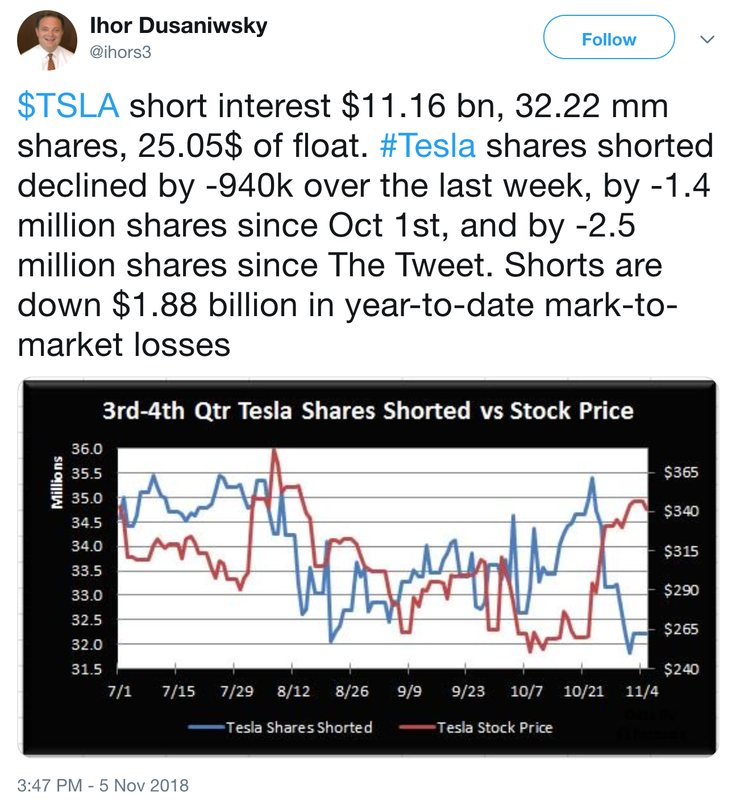 There are different hypotheses regarding why exactly short sellers keep clinging to their positions on Tesla. 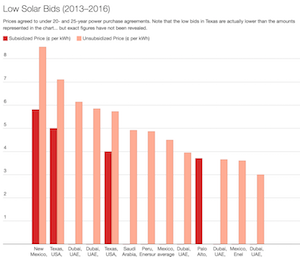 One point of view is that they honestly think the things they say about Tesla finances, production, public statements, and demand. A related point of view is that they’ve simply been unable to accept that they were wrong — and for so long — so they keep doubling down rather than getting over their egos and exiting their positions. What’s the complete picture explaining those ~32.2 million shares that are being shorted? Who knows? When will a short seller exodus occur? 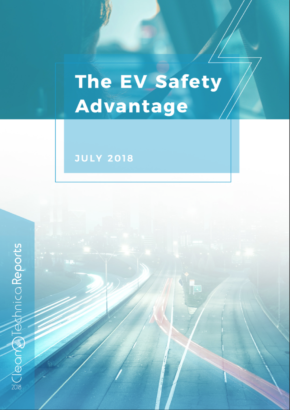 Many continue to say, “Who knows?” However, others expect the big stampede will occur once Q4 2018 sales numbers come out, or at least once Tesla publishes its Q4 2018 shareholder letter. In other words, the expectation is that Tesla’s sales and finances will be so indisputably strong by then that you’d have to be insane to still bet against Tesla. We’ll see. At this point, many of us are thinking that Tesla short sellers will never go away. Yet, even the more cynical among us on this topic have a hunch that a short seller stampede and tsunami could still be in the cards. What do you think? 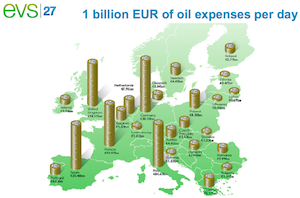 Will a large portion of those 32.2 shares run for the exits and create a giant short squeeze? 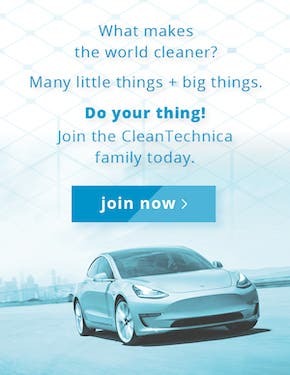 Or will tens of millions of shares remain short no matter what the Tesla numbers show?